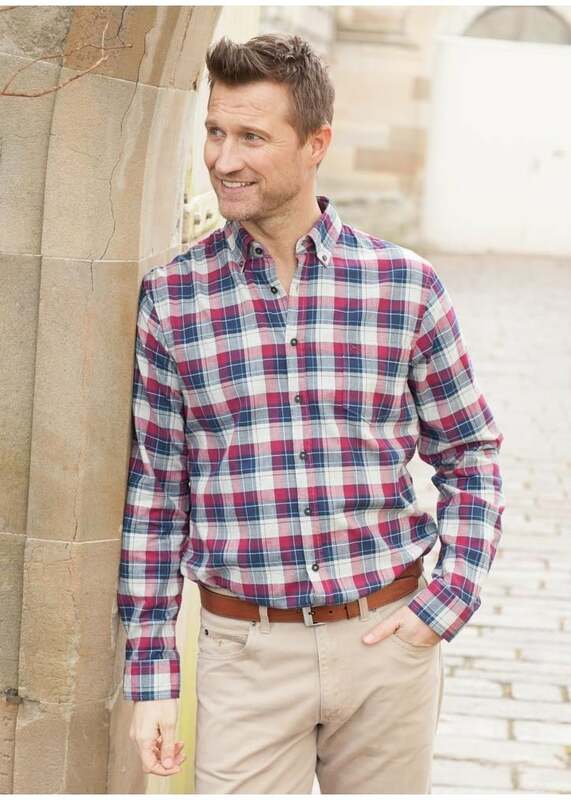 The Herringbone Check Heather Twill Shirt by Brax is a regular fitting everyday shirt. The Herringbone Check Heather Twill Shirt by Brax is a regular fitting everyday shirt. Designed with a large, attractive check and contrast button detailing, this Herringbone shirt fits into both a casual and smarter wardrobe effortlessly.